This is an original production cel from the Walt Disney Studios production of Duck Flies Coop (1959), as an interstitial segment animation that appeared between previously produced shorts. 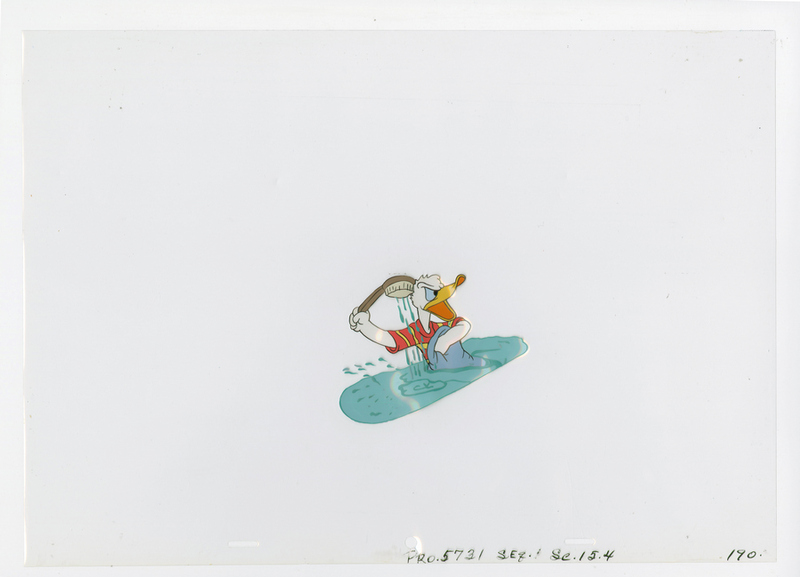 This hand-painted cel features Donald in a bathtub and was created at the studio and used during the production of the special. The overall measurements of the piece are 11" x 15.5" and the image itself measures 3" x 4". The cel is in very good condition.